The Taipei-Shanghai Twin City Forum opened in Taipei on Thursday. Taipei Mayor Ko Wen-je said the two sides of the strait need a new phrase that is acceptable to both sides for cross-strait interaction. Shanghai’s Executive Vice Mayor Zhou Bo said the two sides need to maintain the concept of the ‘family on both sides of the strait’. He said, "We need to write more beautiful stories of the twin cities." He also said the 1992 Consensus is the political foundation and what the two cities recognize during official exchanges. Zhou is not the only one who mentioned the idea of the ‘family on both sides of the strait’. Taipei Mayor Ko Wen-je mentioned it as well during the banquet Wednesday night. Taipei Mayor Ko said he mentioned the idea of the ‘family on both sides of the strait’ in 2015 and 2017. He said he was not deliberately saying this phrase to any audience. But it is necessary to lessen tensions and the possibility of conflict. He said a new phrase to describe cross-strait relations needs to be created that the two sides can accept for cross-strait interaction. The two deputy city mayors went on stage to speak at the opening. Taipei Deputy Mayor Teng Chia-chi said that Taiwan is the first place with a foundation of Chinese culture to become a democracy. He said China is now for the first time in modern history in a position to impact the world’s economy. The twin city forum went on smoothly on Thursday. Outside the forum, there were protests of contrasting views. Some screamed for the officials to go back to China while others said that Taiwan independence is a fraud ring. It looks like there’s still much to discuss as the two sides of the strait work to increase cooperation. The two cities signed a memorandum to further cooperation. 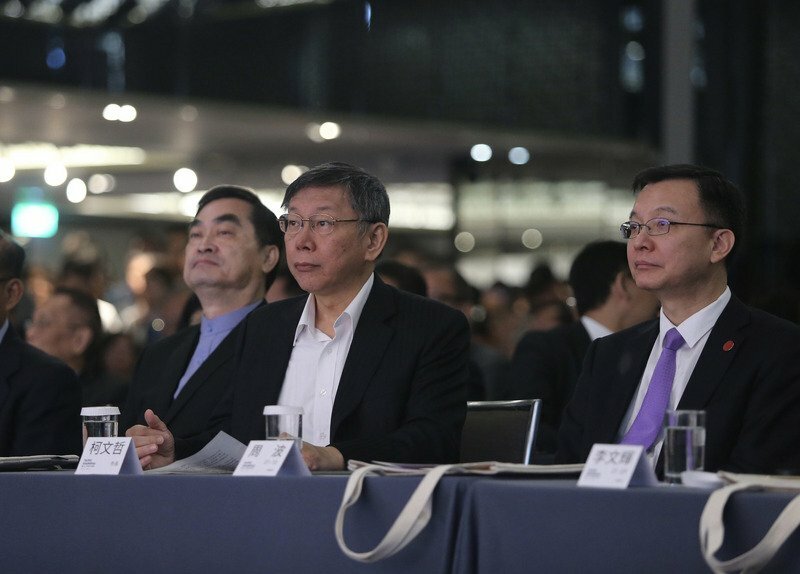 Shanghai’s Executive Vice Mayor Zhou Bo led a 135 member delegation to the forum. The forum is held every two years and this year’s theme is Sustainable Cities, Sustainable Development.